There is another great Kroger Freebie Friday eCoupon! 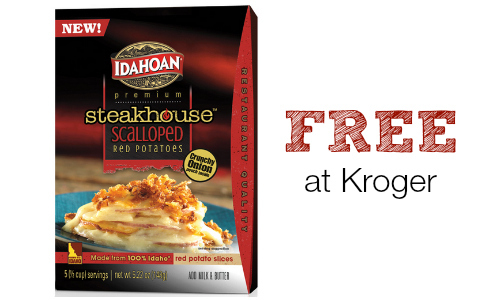 Today’s Kroger Freebie Friday eCoupon is for Idahoan Steakhouse Casserole (5-5.4 oz)! To get this freebie, download the Kroger eCoupon today and then you’ll have two weeks to redeem it. These are a great to have on hand for and easy and quick dinner, so make sure to get your coupon! The Kroger eCoupon expires 10/18.